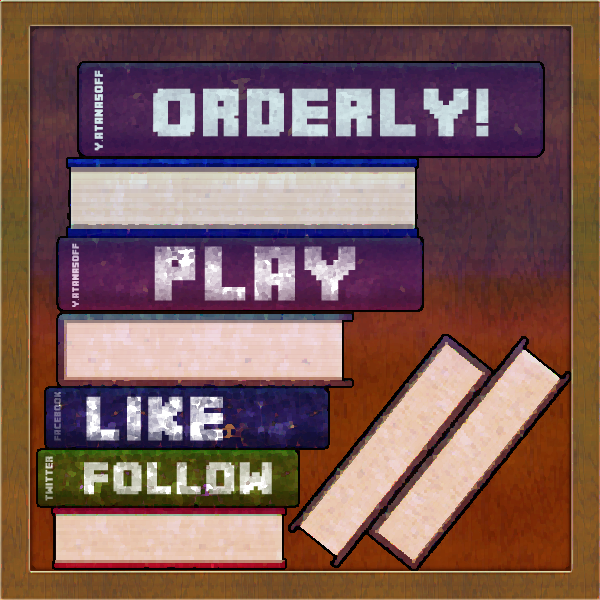 I initially created Orderly! for Ludum Dare competition, afterwards I decided to develop the game more. This is probably my first project where I create everything myself – art, code, music etc. 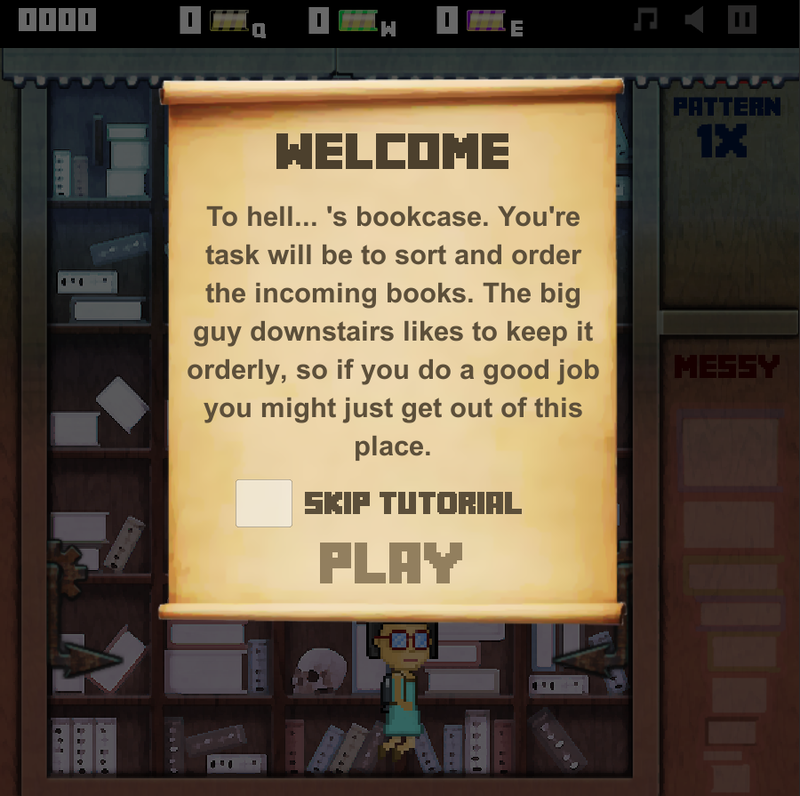 The premise of the game is about a librarian sent to hell, where she is sentenced to stacking books all day long until the end of eternity. By stacking books as high as the designated line you get points, but each stack also raises the line. The higher line makes the player stack the books higher, which in turn affects their stability and the probability of the stack falling apart. 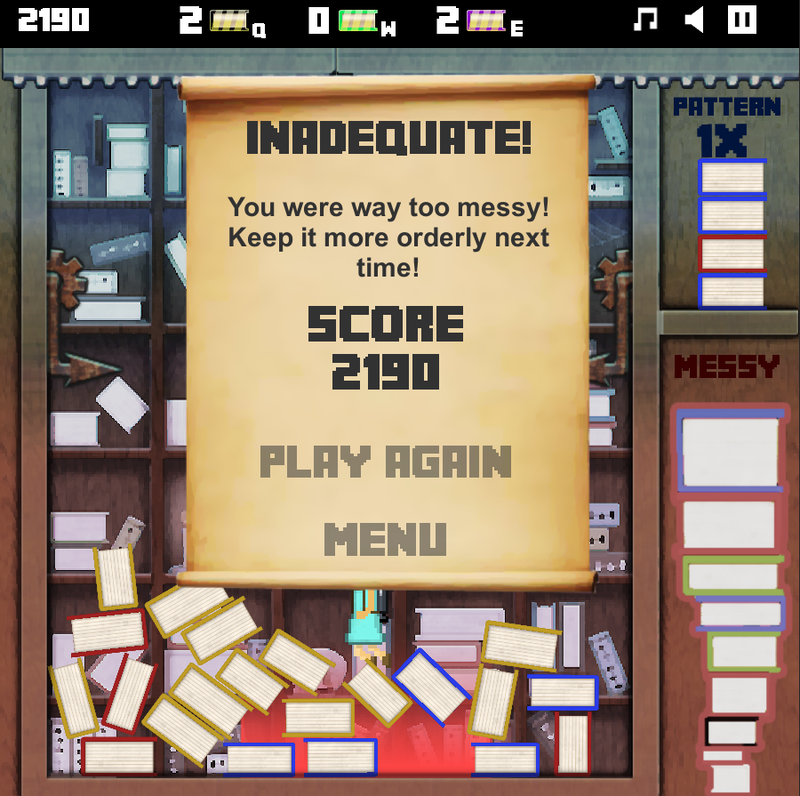 The game is won when the designated line reaches the top, if there are too many messy books – you loose.